5 Acres & A Dream: Farm? Homestead? What Are We About? I was very interested in your comments to my Why We're Not A Hobby Farm post, and I want to thank everyone for taking the time to share your thoughts. It's turned into a very interesting conversation, and you've given me a few more things to ponder and think about. Besides "hobby farm," another term popped up quite frequently in my internet searching, homestead. I've pretty much thought of the terms farm and homestead, as interchangeable. More and more though, I realize I've made a subconscious switch to "homestead," when I think and talk about what we're doing with our five acres and our dream. As I wrote last time, we are not and never will be a hobby farm. While I won't deny that I'm enjoying myself tremendously here, I will be the first to insist that our goal never has been to farm just for fun while we get on with the rest of our lives. Farm - area of land and structures maintained as a business through producing food, fiber, and fuel. Involves the production and sale of such products for the purpose of making a living. Homestead - area of land (rural or urban) and home maintained for the purposes of a simplified, sustainable, self-sufficient lifestyle. These alone tell me we're definitely about homesteading. Most of our motives were described in an earlier post, A Simple Life, so I won't necessarily repeat them here. Like farming though, homesteading is still hard work. I have to tell you though, after a day of cutting and splitting firewood, digging in the garden, putting up fence posts, etc., we are tired but satisfied because we've done something tangibly constructive and meaningful. Something that contributes to our lifestyle. As I work I consider the alternative. We could spend lots of money on labor saving devices, then lament how out of shape and chubby we're getting, and so go spend more money on a membership to the fitness club. Why not simply eliminate the labor saving devices and fitness club, and stay in shape the natural way, with good old-fashioned hard work? It would be cheaper, and just maybe I wouldn't have to work so hard at my job because I would be living a less expensive lifestyle. Makes sense to me. Still, I wonder about farming. I know that Dan longs to quit his job (he's an over the road truck driver) and make our living here, as farmers. But there are obstacles. For one, we didn't grow up in farming, so we do not have all the necessary practical knowledge and experience. We have bits and pieces of experience, but to put it all together, there's no modern day farming apprenticeship so to speak. Oh, we could take workshops, courses, seminars, or probably even go to college... no wait, college would just focus on industrialized, agri-biz farming, wouldn't it? Another problem is that neither Dan nor I have a business mindset. We're artists who tend to gravitate toward planning, creating, and producing rather than marketing and selling. In the past when we've looked into having our own business, the bookkeeping, business and self-employment taxes, plus government impositions, regulations, certifications, fees, etc., are daunting. If a farm is a business, this is something else we'd have to learn. Lastly, is land usage. We have five acres, about half cleared, the other half wooded with mostly mature pines. It seems to me that all of our land would have to be dedicated to production. I wonder if we would have enough land left over for personal use, such as garden, orchard, animals. As homesteaders we can utilize the land on a smaller scale to meet most of our homesteading needs. Like our master plan. As many of you have pointed out, farming is a hard life. It's no wonder that over the years children of farmers have instead chosen the security of the steady paycheck elsewhere. But sadly, with that we've lost the agrarian base our society once had, as well as the freedoms it offers: having purpose, being one's own boss, not being totally dependent on others, understanding the seasonal rhythms of the natural world around us, having a sense that what we're doing really matters; to name a few. These are the things Dan and I are trying to get back. Well, I reckon I've talked your ear off long enough. I'll save the rest of my thoughts for another post. I still have questions, and I'm still contemplating the answers. Oh- I found a website, www.homesteadingtoday.com where I've been reading a bunch of forums. Very interesting reads on there!!! Having had it both ways, Gene has been self employed for over 30 years at this point, there are benefits to both. Yes, you can be your own boss, but there is also something to be said for a steady paycheck and insurance benefits, esp. considering insurance costs these days. 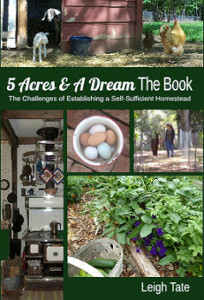 just how much homesteading/hobby farming we want to do, if at all. WFR, *LOL, well, hopefully you get my point, that we all make lifestyle choices concerning how we spend our time and money. I enjoy working outside a whole lot more than I would going to a gym, not to mention the sense of productivity I enjoy. You sound like, us, you are working toward a goal. Really, I don't think some of those definitions should be hard and fast, do you? Even though we may not make money off our garden and chickens, the benefits are valuable in themselves, and for more than just the pleasure they give. Thanks for the link! I'm always on the lookout for good information. Theresa, I have to admit I admire those who make it self-employed. Obviously the hours are longer and the work isn't easier. Dan has looked into being an owner/operator, but we've never taken the steps to go that route, mostly because it means he'd have to be gone a whole lot more. With homesteading, I'm not necessarily meaning we want to do everything by hand. That isn't our goal, we use power tools regularly and in fact a farm tractor is at the top of our wish list! The point I'm hoping to make with my health club illustration, is that labor is not necessarily bad, and that hard work has benefits too. Machinery and labor saving devices have a place, but some things just seem counterproductive. Part of life is making lifestyle choices, and obviously we all don't want to live the same lifestyle. Hopefully Dan and I are making lifestyle choices that are for us, productive and help us achieve the lifestyle we aspire to. Your thoughts about homestedading are very interesting to read. 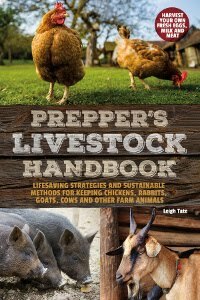 I think there are also other aspects in favour of homesteading (I don't know how relevant this is for the US, but it is here). In Norway and other European countries, many small farms are abandoned every day and the land is not farmed on anymore. Eventually, bushes and shrubs overgrow to take over the pastures andthe fields, and the whole landscape changes. Many plant and animal species adapted to an open farming landscape have a hard time surviving, and we make ourselves dependent on food import. I think it is dangerous for a country to make itself largely dependent on imported food, because the world political situation can change rapidly. So a Hooray for farmers and homesteaders! In a way I'm envious of your goal. And on the other hand I'm realistic to know that while it seems great, it just isn't me. I would rather putter with a small garden that produces just enough for me if the bugs and hail don't get it. No critters other than the dog & rabbits. I love reading about your adventures though and hopefully I get ambitious enough to try out some of your recipes. Do you need to justify or label what you're about at all? Just be, and do, what you want! We've just bought a property of three acres in New Zealand, and will be moving in a couple of weeks, but I guess I haven't thought about labels. We'll be aiming to produce about 70-80% of our food, and should be able to do so quite nicely, based on an analysis of what we eat already and what we think we'll comfortably be able to produce. On top of that, there will be excesses to barter. In particular, our property has a lot of nut trees in full production, and there's no way we can ourselves consume the produce of so many - over 100! But we're not even going to try being completely self-sufficient. I know enough about that to avoid it! I'm not going to make my own soap, bread, wool (even though we have sheep!) etc. If I did that, I wouldn't do anything else! Instead I'll be swapping the wool we grow with a keen spinner friend of mine, and will barter as much of our excess as possible, and give the rest to charity, I'm guessing. In the end, we readily admit that we live in a modern society that will not revert to the 1800s any time soon, and it makes sense to tae advantage of economies of scale, as long as we're supporting our own local economy! We also readily admit that there's no way we could earn anything like my husband's high salary from our little acreage. I'm a home worker, and my career can be home-based if I choose anyway (I'm a writer), but our earnings from our land will only ever be an add-on to our salaries. That's reality. Charlotte, that is so interesting about farms being abandoned in Norway and elsewhere in Europe. What happens to them? Does anyone ever buy them and try to do something with the land? In the part of the US I live in, farmland is sold to developers who turn it into subdivisions and mobile home parks. The homes in the subdivisions are sold at very high prices and so drive all the land prices up. When we first moved to North Carolina 15 years ago, we could have bought 5 acres for about $5000. Within 10 years, the prices had jumped to $6000 an acre and higher. I very much agree with you about importing food and dependency on other nations to supply it. Even though we all hope for the best, things change as we've seen with our recent economic troubles and weather problems. I think it's far better to produce for one's own people and have extra to trade, than to rely solely on foreign markets for food. Renee, I appreciate your interest! One of the great things about the internet is that we can learn from one another's interests, ideas, customs.and lifestyles. Makes for fascinating reading, plus I pick up a lot of good ideas from other folks. Daharja, no. None of this is based on personal motivation to define a label or justify what we're about. In fact it's interesting to me that you would read it that way. Tells me I need to work on my writing skills! Rather, I just wanted to share what I've been thinking about and what DH and I are discussing as we set our course for this place. I thought some of my readers might be interested, since so many have similar interests but have different ways of pursuing them. If you hadn't guessed, I tend to be very analytical(!) though I doubt my reasoning fits very many other folks. Congratulations on your new property! It sounds wonderful and with a lot of potential. It will be interesting to read how you pursue your goals. We don't have a business mindset either but we definately aren't doing it all for fun. We are doing it for food and it has made survival easier. You wrote this before I started following your blog. But I'm glad I found it. It was beautiful. There are a ton of apprenticeships out there as well as colleges offering "Sustainable Agrigulture" programs. I'm going through the Sustainable Ag program at the JC here in Santa Rosa, CA. Google should bring up many options. Rural Heritage magazine and website lists many apprenticeships. Anonymous, yes, since I first wrote this post back in February 2010, I have discovered that there are indeed such apprenticeships. 3 & 1/2 years later I won't say we've got it all figured out, but we've learned a lot and are making our way, as the remainder of this blog will testify. However, hopefully your comment will help someone else looking for such information.